Providing our customers with quality built products for over 100 years. 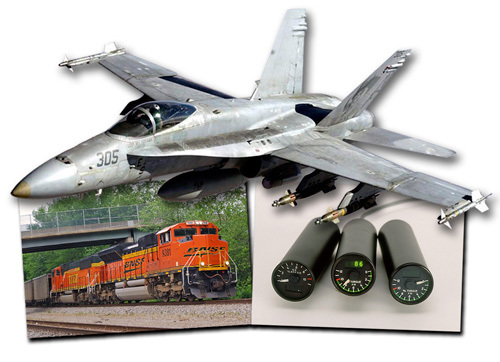 For nearly 100 years Hickok Waekon has teamed with its customers to produce quality indicators and gauges for the aircraft and locomotive industry. Within the aircraft market, instruments are sold primarily to manufacturers or servicers of business, military, and pleasure aircraft. Within the locomotive market, indicators are sold to both original equipment manufacturers and to operators of railroad equipment. DIGILOG Instruments, were certified with the FAA during 2002. Subsequently, several additional models have also been certified. The DIGILOG instrument is a customizable indicator that is a combination analog/digital indicator for the aircraft market. It can be adapted to display a wide variety of aircraft parameters.